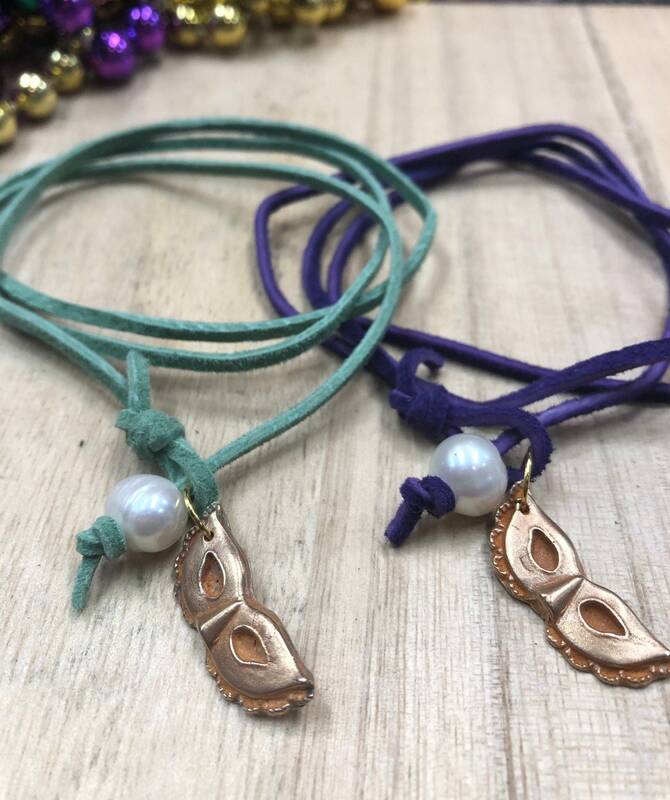 Bronze & Freshwater Pearl with Leather and Handcrafted Mardi Gras Charm. 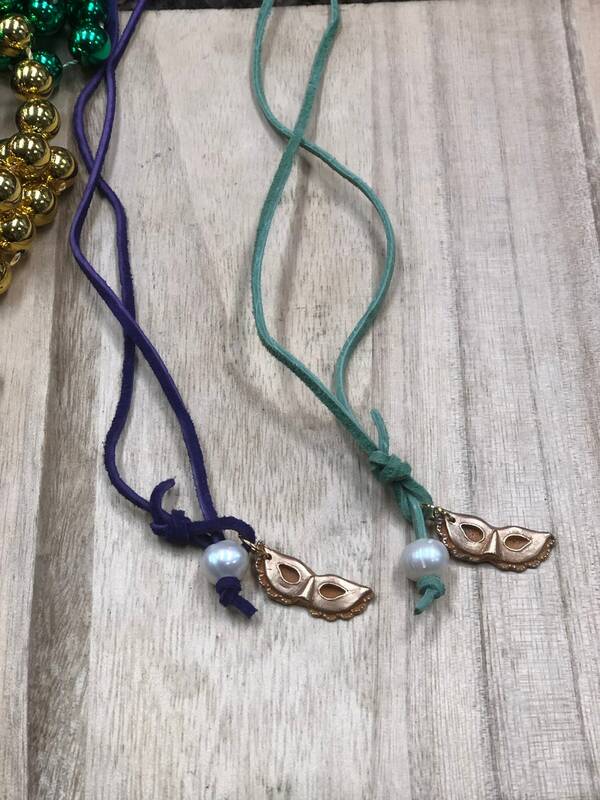 Can be worn as necklace or wrapped around wrist. Charm is approximately 3/4 inch. Absolutely! Just convo us and tell us what your looking for. Is available when requested for $1 more. Adorn items are available at wholesale prices to business and organization. Please email us at info@adornforwomen.com for information.